I was 3 when Telstar came out, so I probably don’t remember it when it was actually a hit record. But I heard it often enough as a small boy that it formed part of my experience of growing up. It was always my favourite. It was just so space age. This was what the future was going to be about. Rockets and music without any singing. I just loved it all so much. I acquired then and have never lost a profound belief that the future is going to be better, people are going to sort things out and that technological progress is a good thing. 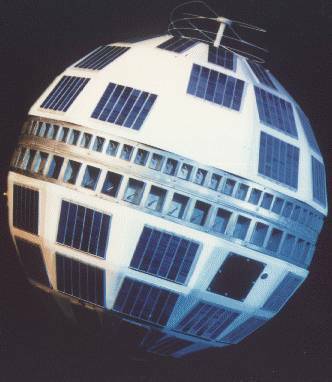 Those ideas sound a bit cheesy now, but then so does Telstar itself. Its place in musical history as the first British number one in America is secure. It can also claim to have influenced the Shadows who in turn influenced the Beatles. But I don’t think the record’s greatest fan, which may well be me, could claim that it was a great work of art. But it conjures up a time in history, an optimistic time. Harold Wilson could proclaim that a new Britain was being forged in the white heat of a technological revolution. The rockets were being built to take man to the Moon, and probably much further. Everyone could afford a television to link the whole world together like never before. And a small boy dreamed of becoming a scientist and inventing things to make the world better. Telstar is rarely played on the radio today, but when by chance I hear it I have to struggle not to burst into tears. I had no idea the Tornadoes were British. Live and learn. If I were looking for their long-term impact, I'd go via the Ventures, thence to the Beach Boys. I can't imagine “Good Vibrations” in a world where “Telstar” didn't come first. It hadn't occurred to me about the link to the Beach Boys, but now you say it yes it is obvious.